Seahawks.NET - The Voice of the 12th Man! • View topic - The Official Help And Test Thread. The Official Help And Test Thread. Use this thread to test signatures and avatars. As well as basic help questions. If you have questions regarding board policy, you can contact us at admins@seahawks.net. This thread will be purged daily, or as needed. 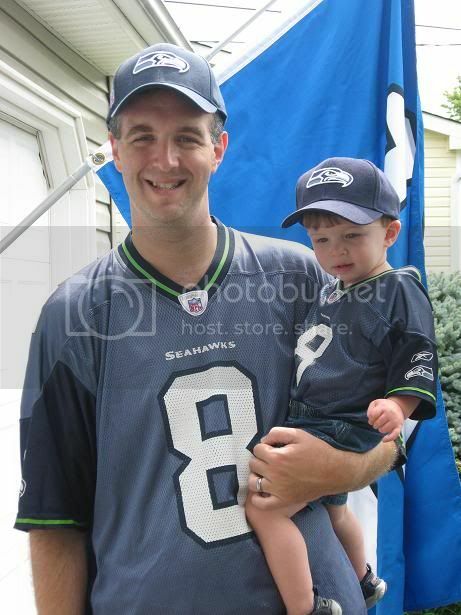 Note - it is not necessary to make multiple posts here on the new Seahawks.NET site, NETNation12.com. Since signatures change dynamically, simply edit your signature as needed and come back to your post and it should be updated to the changes you made. At the most, after you have made a change, you may have to refresh the page. Re: The Official Help And Test Thread. So...is this where I ask about the "mark all posts read" button? Maybe it's 'cause I'm old and blind, but, I can't seem to find one. There's a "mark as read" button at the top-right of each individual section. SeatownJay wrote: There's a "mark as read" button at the top-right of each individual section. I tried sending an e-mail to admins@seahawks.net to get admitted to the Shack and it came back. Where should I send the request. I hate to be the whiney lil' beyatch, but is there going to be a modification of the background? The white text set upon a darker background is making me see stars. Edit: well, I found the "view my posts" button; but is there a graphic(like the scout site) that shows i've posted in a thread while just browsing the forum? DonovanJM wrote: I tried sending an e-mail to admins@seahawks.net to get admitted to the Shack and it came back. Where should I send the request. The old shack was a private forum needing permission to be added to it. We made it a public forum, but we still had problems. So I deleted that one and made a new one. You should have no problems viewing it now. We are currently working on finding one. In the meantime, the view your posts is the only option at this point. What's with the one-url limit in sigs? Any way we can get that changed? SeatownJay wrote: What's with the one-url limit in sigs? Any way we can get that changed? Ummm yeah, we can. Question is, do we want to? We don't want the sigs to become walking billboards, if ya know what I mean. Exactly how many did you want? Thanks. I don't care what Todd & Les say about you, you're a heck of a guy. SeatownJay wrote: Thanks. I don't care what Todd & Les say about you, you're a heck of a guy. Can anyone tell me how to upload an image into the signature like you guys have? I went to "edit signature" but didn't find a place to upload it from. 1. You can update your PROFILE by clicking on the tab marked USER CONTROL PANEL underneath the Net nation banner. 2. You will be brought to the USER CONTROL PANEL page, on the left is a options box, click on PROFILE a list of options will show up allowing you to design your PROFILE to your liking including signatures and avatars. 3. If you would like to use a signature or avatar, you can set them both up from this page. You will have to have a photo hosting site such as PHOTOBUCKET. Copy and paste the IMG tags from the signature you chose to use and paste it in the space for your signature, and Avatar. 4. Hit the SUBMIT button on the bottom of the page and all your changes should be updated immediately. Thanks a ton Bruce! You're a gentleman and a scholar. How do I get rid of the brackets and color at the end of the hyperlink in my last post? How do I make the target open in a new window? You have 2 closing 'color' tags, and to get the link to open in a new window, use urlTargetBlank instead of just url. Hover over urlTargetBlank button in post editor for a description of how it works. ...is all you really need. Why didn't the "3D Seating" text blink in my last post? I tried to send a PM this morning but it seems to be hung up in my Outbox. And I found two other PMs there that have been sitting there since August. Why haven't they been sent? Kindly disregard... I found the answer in a FAQ. Tapatalk. It's what's for dinner. Next, highlight your link with your mouse then click the "URL" button above the text box. In the first part of the link, change the close bracket "]" to an equal sign "=". Also, just before the "[/url]" at the end (and after your link), insert an end bracket "]". Now, before the "[/url]" at the end of the link, enter the text you want as a description of the link - here it will be "This Link". Lastly, highlight the "This Link" part of the link and click the Bold button above the text box. Use this same process to select a color at the right. I hope this helps someone. Got a better way? Please let me know!